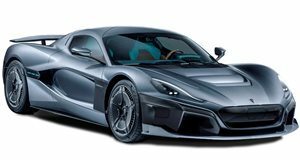 Rimac arguably stole the show at last year’s Geneva Auto Show with the . Not to be outdone, called the Battista, named after the company’s founder. Ahead of its debut, Pininfarina has released a new teaser of the Battista showing its lightweight carbon-fiber body, but it isn’t very revealing. However, the automaker has detailed the sales plan for the limited-edition Battista, which will be "managed by the world's most experienced specialist car retailers” in North America, Europe, the Middle East, and Asia. "We are passionate about the customer journey, the touchpoints, and the full Pininfarina experience – our retail specialists fulfill the promise for us around the world and share our passion for Pininfarina’s provenance and the potential of electrification in a luxury brand,” said Michael Perschke, CEO of Automobili Pininfarina. "We believe our retail specialists will become evangelists of the brand as they take on the privilege of caring for Pininfarina cars and clients. Initially, for the Battista's 150 clients we'll have 20 to 25 global touchpoints; as the Pininfarina range grows, we'll add further retail specialists while still retaining exclusivity." Only 150 examples of the Pininfarina Battista will be produced for its market launch in 2020, with 50 allocated for North America, 50 for Europe and another 50 for the Middle East and Asia. In the US, Pininfarina has secured relationships with "luxury and high-performance vehicle specialists” in Los Angeles, Miami, New York, San Francisco, Toronto, and Vancouver, while customers in Europe will initially be able to buy the Battista in six locations: Birmingham, Brussels, Dsseldorf, London, Monaco, and Stuttgart. "Initial demand in North America has been very strong for Battista, and our focus now is on presenting this spectacular hypercar to prospective clients in Europe, the Middle East and Asia,” said Marcus Korbach, Automobili Pininfarina Sales Director. "Our team will also ensure we have everything in place with our exceptional network to ensure the success of the car. Based on the unique client relationship of our specialists we will add value through the product and brand experience." Pininfarina promises the Battista will be "a ground-breaking hypercar" that offers "unrivaled performance combined with ultra-luxury.” Thanks to the car’s carbon fiber construction and electric motors, a combined output of 1,900 horsepower and 1,700 lb-ft of torque is targeted, which should enable the electric hypercar to accelerate from zero to 62 mph in less than two seconds and hit a top speed of over 250 mph while delivering a zero-emissions range of more than 280 miles.